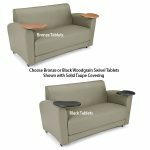 33″w x 32″d x 33″h Weight: 45 lbs. 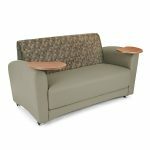 43″w x 32″d x 33″h Weight: 57 lbs. 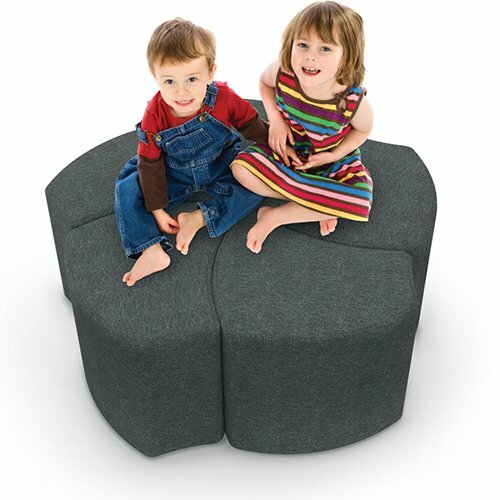 Interplay fits perfectly into the “Social Seating” arena. 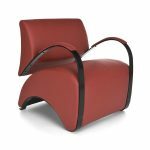 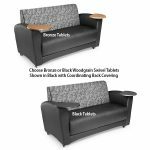 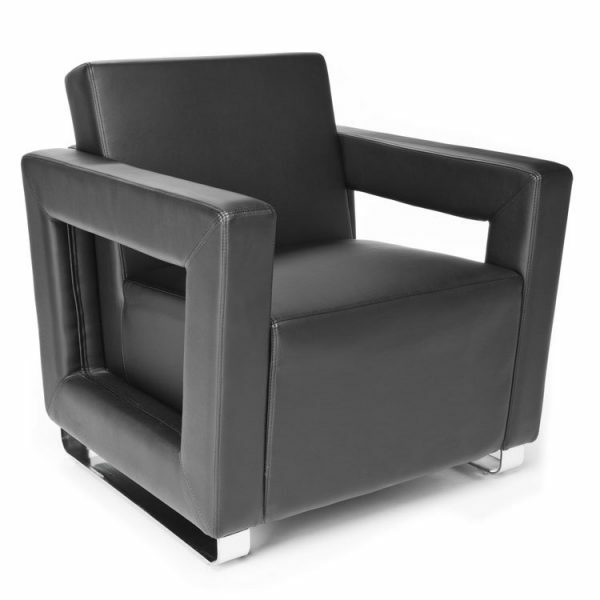 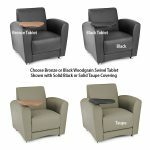 Both the single tablet chair and double tablet sofa come in 4 coverings and color options including all PVC free polyurethane, AntiMicrobial and a combination of fabric and PVC free polyurethane. 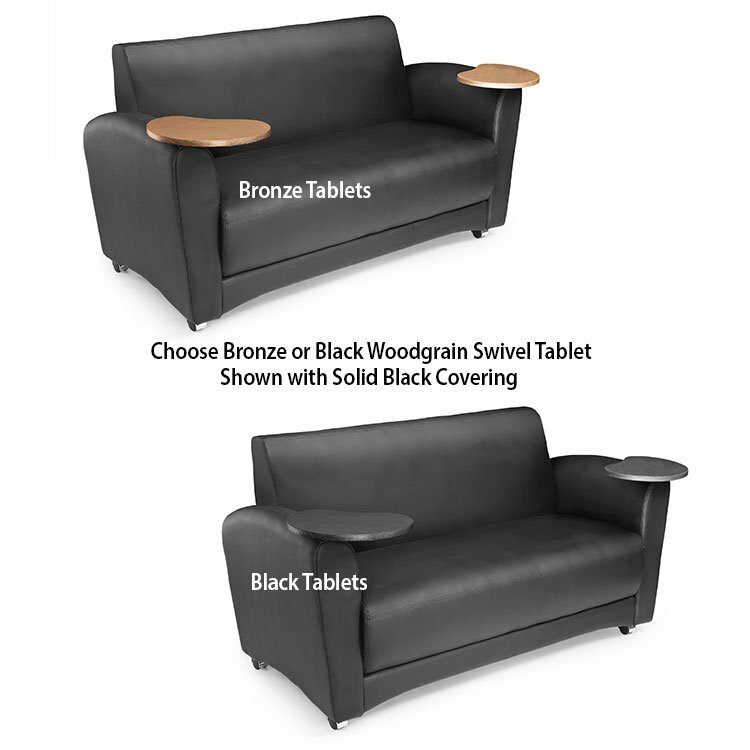 The swivel tablets are smartly finished in bronze and black woodgrain laminates. 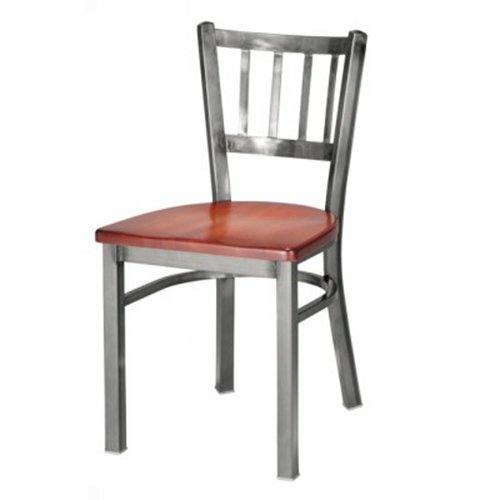 The 500 lb. weight capacity welcomes everyone to enjoy it. 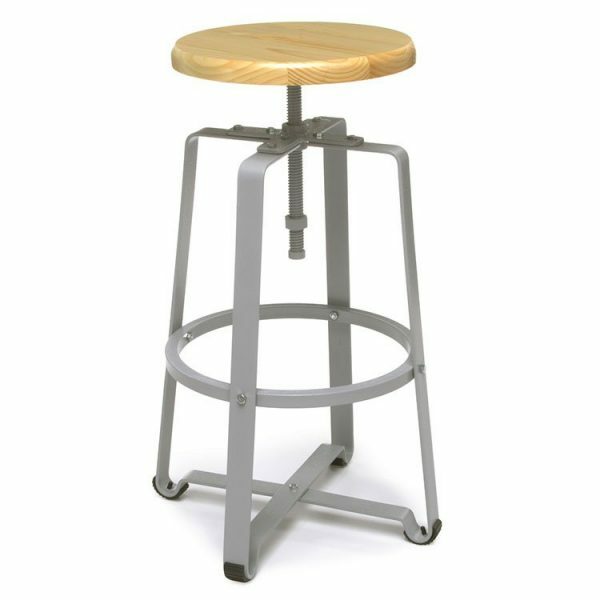 Standard lockable casters keep them in pace until you feel the need to rearrange your space. Use the built-in handle at the back to easily move InterPlay around. 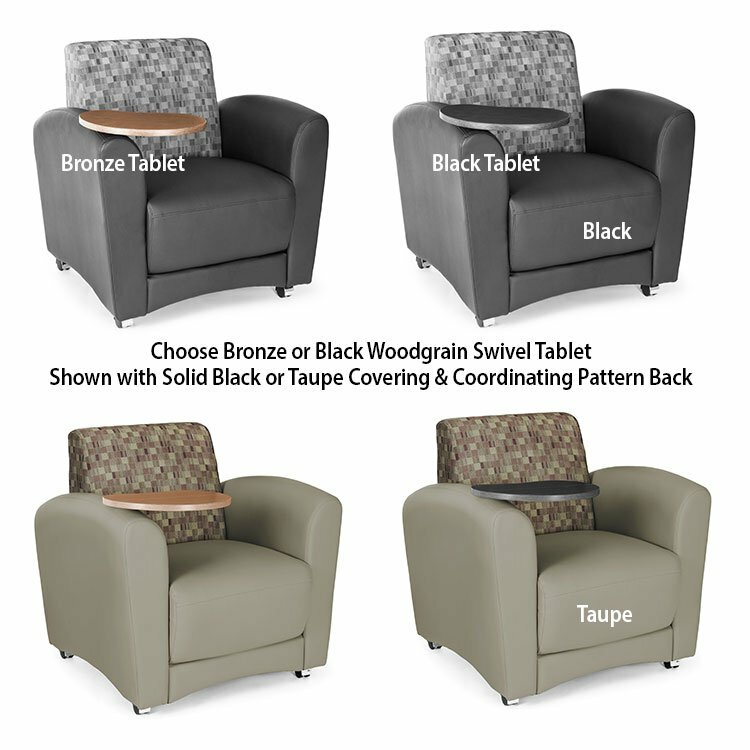 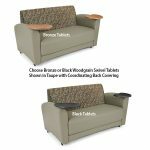 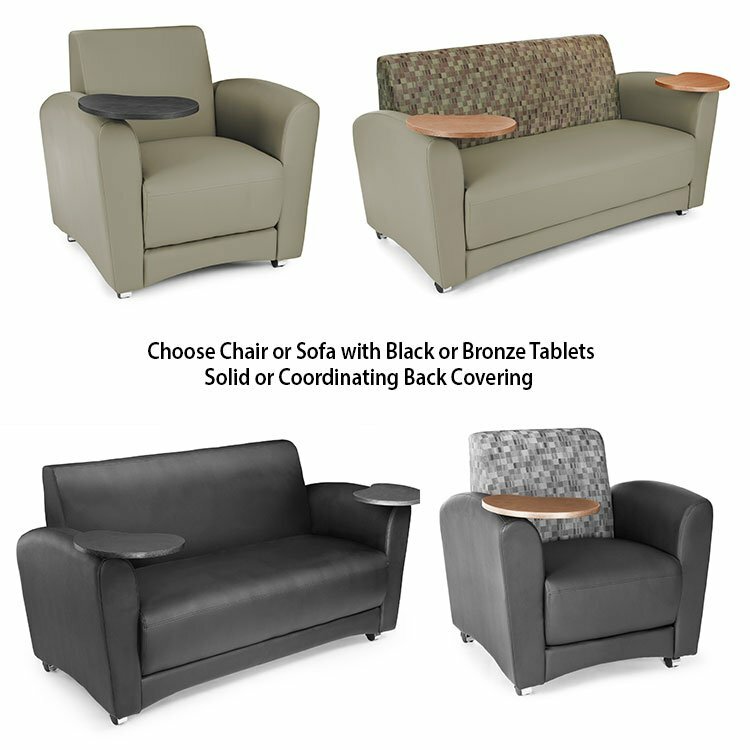 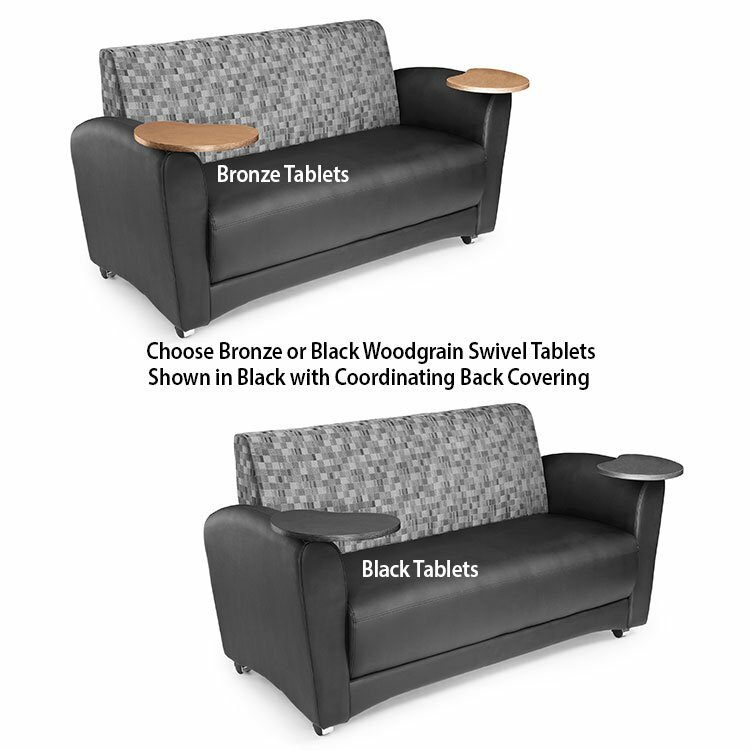 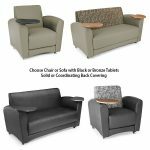 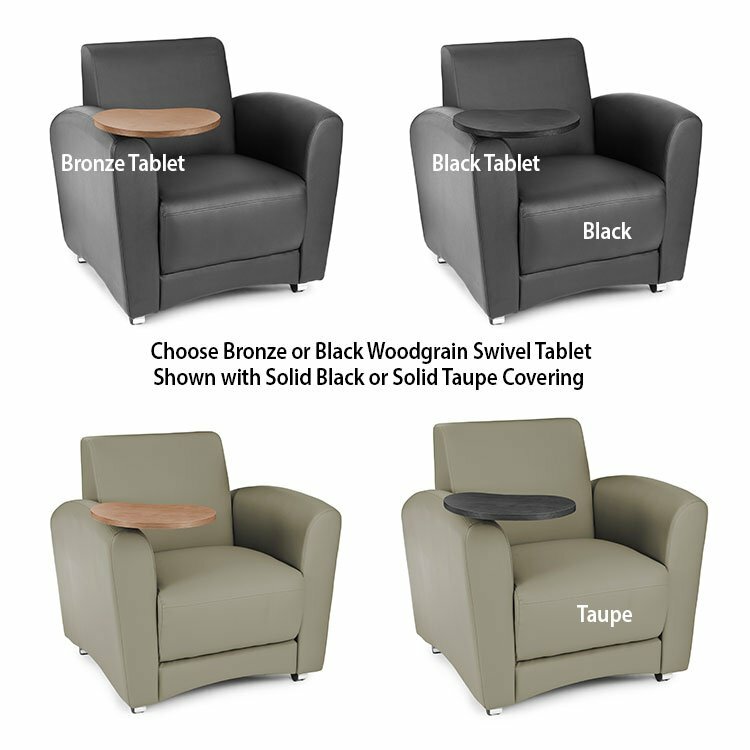 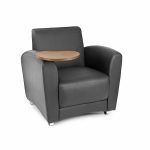 Our Interplay Series Lounge Seating with Tablet Arm 4 Personal Colors Offerings; Plum Back/Taupe Seat, Nickel Back/Black Seat, All Taupe (AntiMicrobial) and All Black (AntiMicrobial). 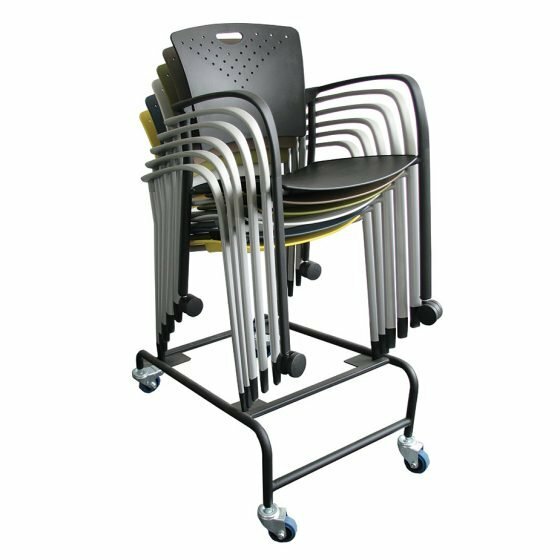 Staq Stacking Chair Dolly holds up to 10 chairs. 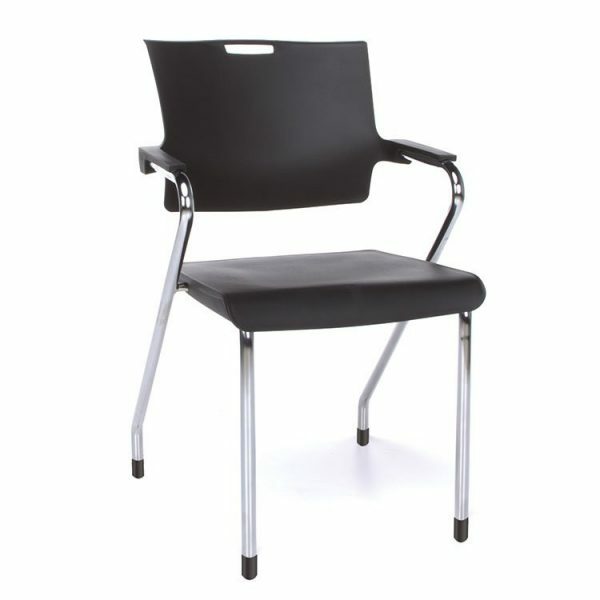 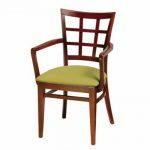 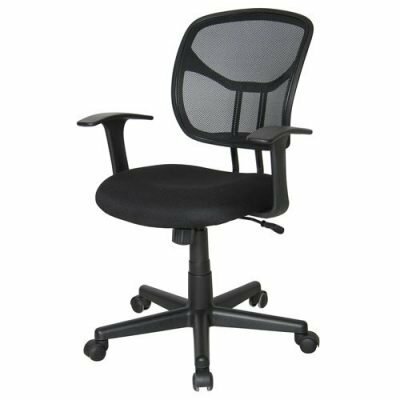 Works in combination with Staq Stacking Chairs, free shipping. 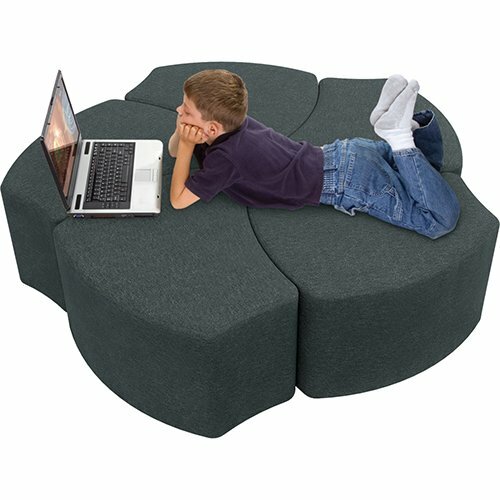 Great for Training Centers and Schools. 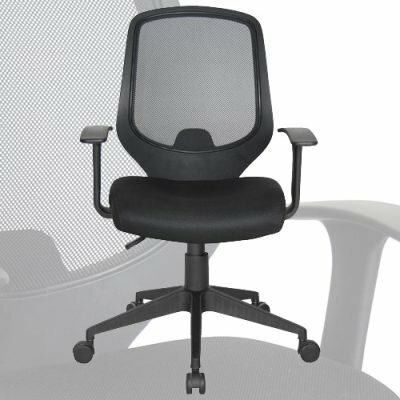 Net Series Chairs commands attention with colors that are vibrant, materials that last and a design that turn heads. 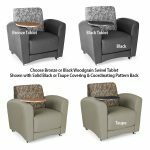 7 beautiful colors and 4 base styles for your patio, lanai or garden.